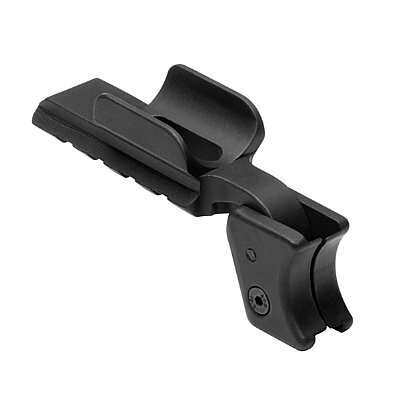 Securely clamps to your pistols trigger guard, giving you a much needed accessory rail for lights and laster. Easy installation with no modifications to your weapon. All metal construction, comes with everything necessary to mount to your weapon. Fits Beretta 92 and M9. Mount clamps securely to the trigger guard. All metal construction, comes with everything necessary to mount to your weapon. Fits Colt Style 1911 pistols (series 70) and clones. 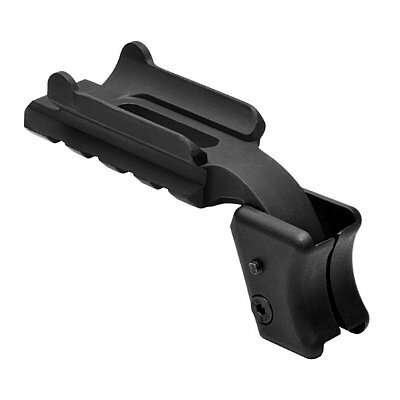 Mount clamps securely to the trigger guard. All metal construction, comes with everything necessary to mount to your weapon. 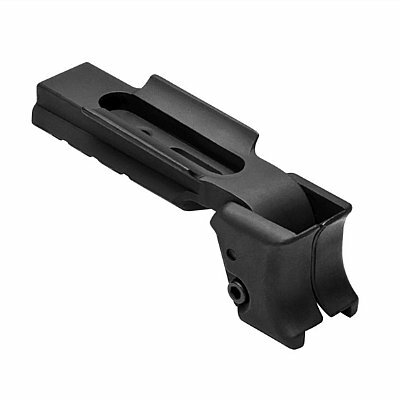 Fits Glock 9 and .40 cal G26 and G27 Sub Compact Models, pistols without an accessory rail. 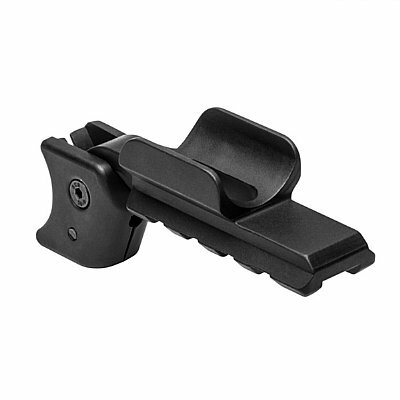 Mount clamps securely to the trigger guard. 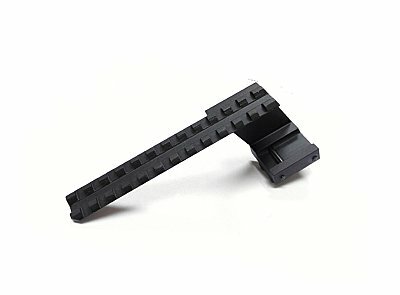 You pistol has the standard Picatinny rail under its frame, but you need to mount a scope or dot. 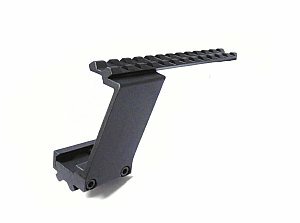 This cleaver mount attaches to your rail and comes up over the pistol giving you a Weaver/Picatinny rail over the top for your optics. All metal construction and even has a rail under for light or laser's. Another David's Collectibles problem solver. 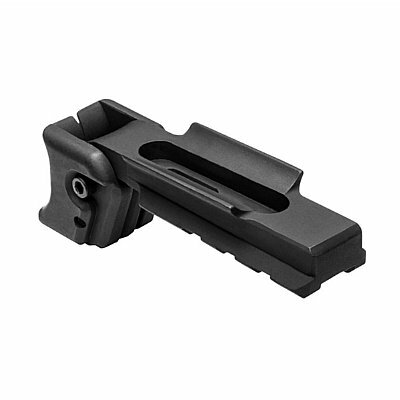 Length Of Top Rail: 5"
Length Of Bottom Rail: 1 3/8"
HK USP compact Size M3/6 Flashlight and Weaver Rail Adapter. Hard Anodized Aircraft Grade Aluminum construction. 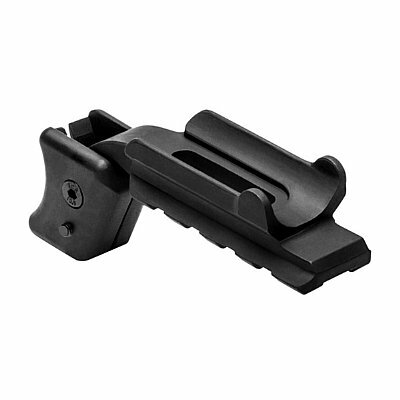 Adapter clamps the accessory rail of the HK compact pistols. Rail allows use of flashlights and lasers designed to attach to Weaver or Picatinny Rails!